There are only 30 Vaquitas in the world… Now is time to save them! Join this campaign and, along with the AMHMAR, help us relocate these amazing mammals from the Gulf of Baja California and give them unique opportunities for reproduction and survival. According to the latest estimate, in 2016, the Vaquita was only 30 specimens away from extinction. Due to illegal fishing and the irresponsible capture of Totoaba fish – also in danger of extinction – the Vaquita is condemned to disappear. Due to the emergency of the situation, the Mexican Government and the International Committee for the Recuperation of the Vaquita (CIRVA) have made a plan of action for preserving the specie. As part of this plan, the Vaquitas will be carried to a delimited place for them to reproduce and will later be reintroduced into their natural habitat. Additionally, the United States Government will collaborate on this mission by sending trained dolphins to spot the Vaquitas, since they are a shy specie that comes to the surface for just a few seconds before going under the Cortes Sea again. How can you help the Vaquita to survive? If you, like the rest of us, want the Vaquita’s survival and existence in the Mexican oceans for thousands of years to come, you can join the donation campaign set up by the AMHMAR and enhanced by their members, especially Delphinus. If you, like the rest of us, want the Vaquita’s survival and existence in the Mexican oceans for thousands of years in the future, you can join the donation campaign to save them made by the AMHMAR and enhanced by their members, especially Delphinus. 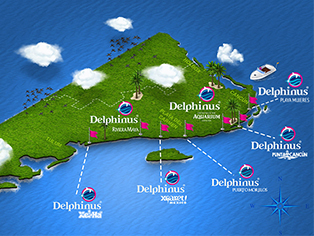 Delphinus, as the rest of the AMHMAR members, will donate one peso or one dollar for each peso or dollar that you donate. The donations will be managed by the National Marine Mammal Foundation, which will direct all the money collected to make the Vaquita conservation project ex situ a reality. Share this information and help us save the Vaquita. Only together can we spread the emergency of the situation and regroup all the necessary resources to build a place for their recovery. If you want to participate, but you don’t know how, just click here and discover how you can help the Mexican Vaquita. They need us more than ever! 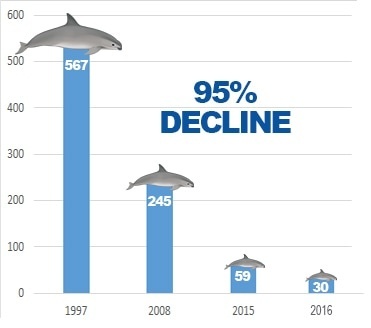 Join the Vaquita CPR initiative, supported for the National Marine Mammal Foundation, the AMHMAR and Delphinus, and let’s save the Vaquita from extinction! Remember: for each peso or dollar that you give, we will give another!